Up for review today is another blend from Moore and Bode, a little known brand based in Florida. This brand, though, is not to be underestimated. 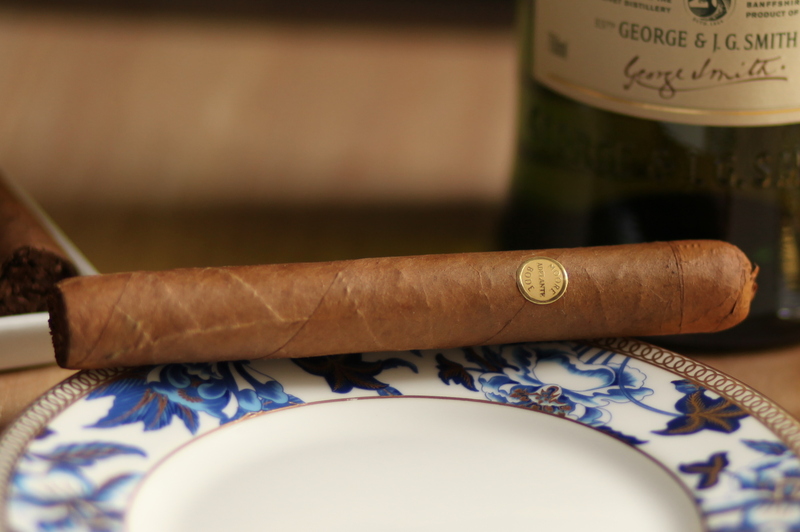 The last Moore & Bode cigar I reviewed, the Moore & Bode Candela, earned an overall score of 91 (excellent). In this review, we’ll look at the Moore & Bode Adelante 5 x 46, which features tobaccos from five countries. The Moore & Bode Adelante features a light brown Connecticut Shade Grown wrapper. The wrapper is has a slightly rough texture, with some noticeable veins. When squeezed, the cigar is fairly solid with a bit of give. Off the foot I pick up aromas of dusty wood and tea leaves. The band leaves a bit to be desired here. I had a hard time getting a clear photo of the band. First because the band is absolutely tiny, and secondly because the printed lettering on many of the bands I’ve seen is actually blurry. Hopefully they figure that out sometime in the near future. The draw has a bit of resistance (probably a 7 out of 10 in restrictiveness), and reveals an interesting note, similar to salami. Definitely a first for me as far as pre light aromas go. After toasting the foot, I light up and am greeted by copious amounts of thick, toasty, mild bodied smoke. The flavors are nuanced and complex: light cedar, toasted bread, herbs, black tea (Earl Gray, I think). The retrohale is very mild, with twinges of cinnamon spice and sweetness. It may be the most delicious and distinct retrohale I’ve ever experienced. At an inch in, the burn is a bit wavy and the light gray ash is holding strong. The flavor has inched up but is still extremely mild. The herbal / tea notes are less prominent, and lightly toasted bread, vanilla, and touches of spice here and there. This profile continues until the second third. In the second third, the body and strength inches up just a touch. At this point, I’m comfortable classifying the smoke as what most smokers would understand to be mild in body. The flavors though, are still clear and distinct: cinnamon (a bit stronger now), subtle white pepper, cashews, and light wood. The cigar continues to smoke well: lots of smoke, extremely smooth, and only a bit of waviness on the burn. In the final third I run into an issue when I try to peel off the small dot of a band. Even though I tried to remove it gently, it still broke the wrapper and peeled off a piece. Not a huge issue, but one I could see being a consistent problem with this band design. From a flavor standpoint, the final third is also where a bit of unpleasant bitterness enters in, which is a common risk with producing an extremely mild cigar. The bitterness throws the balance of considerably, muddying the flavors the palate and on the retrohale. As much as I hoped the last 10 minutes of the cigar would turn this flavor around, they don’t. Despite the issue with the band and the bitterness at the end, the Moore & Bode Adelante is one of the finest mild blends I’ve ever smoked. 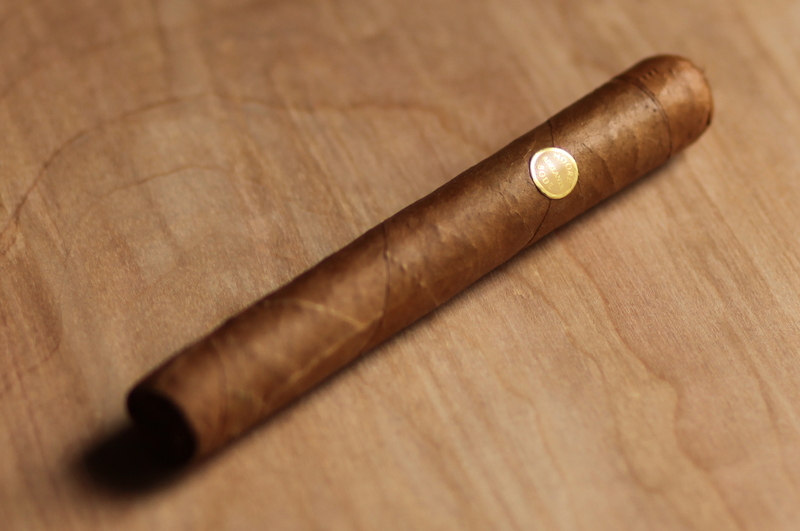 The flavors are clear, discernible, dynamic, and for most of the cigar, perfectly in balance. This cigar is easily worth a box purchase if you can find it. My only gripe with the brand as a whole is that Moore & Bode blends are difficult to identify.